Pay back the money. That was Public Enterprises Minister Pravin Gordhan’s message to corrupt individuals who stole from SAA. Gordhan was addressing SAA employees at its head office east of Johannesburg on Monday. "SAA is an excellent airline, but a poor business," Gordhan said. Using the analogy of a shirt full of holes, Gordhan said nobody would be interested in buying SAA as it is. "Will you buy a shirt full of holes? Even if it's on sale?" Gordhan asked. "No," the audience replied. Gordhan was referring to comments made by Finance Minister Tito Mboweni alluding to the selling of SAA. 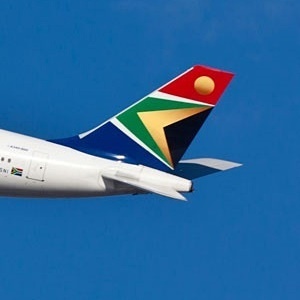 Mboweni, speaking at an investor conference in New York, said he thought it would be best to close SAA as it was a "loss-making" business and South Africa was unlikely to resolve the situation. The once-celebrated airline has not been able to generate a profit since 2011. It survives largely on state guarantees and is generally perceived by ratings agencies as a drain on state coffers. "We need to clean out the dirt for this airline to survive," Gordhan told employees. The minister called on employees to report corruption, saying no one had done so since he took over the reign as public enterprises minister eight months ago. - Focused on the future. In what was largely a pep talk, employees reacted with cheers as Gordhan laid into those who had left SAA "a mess". "Out of every 100 passengers, 50 were using SAA before. Today it is 25 out of every 100," Gordhan said. On Sunday, the Public Enterprises Ministry issued a statement saying that "bad decisions were made by previous boards and management, including allowing corruption to incapacitate the airline". "Against this background, the immediate priority for the Ministry of Public Enterprises, is to stabilise SAA financially and through a rigorous process of cost-reduction and commercial re-orientation, to turn it into an airline that is financially and operationally sustainable." It said the recent appropriation of R5bn in the mid-term budget policy statement provided a "degree of financial stability" while the executive management worked on restoring the airline financially and operationally. "Cognisant of the challenges confronting the airline, the Ministry will place the board and management on notice to discharge, with a greater sense of urgency and dedication, their professional duties to identify and implement immediate interventions. "It is imperative that the executive management apply its mind with clear focus to the immediate task at hand, including addressing the airline’s cost-base, stopping all fraudulent contracts, disciplining and instituting appropriate civil and criminal actions against all persons inside and outside the business who are implicated in corruption, and preparing SAA for a strategic equity partner in the near future," the statement read. Gordhan said he would return to SAA on Friday "and go from department to department" to see for himself what the problems were. SAA CEO Vuyani Jarana invited employees to come forward with information on corruption, saying they should not be afraid to do so. "I am the first to come forward to account," Jarana said. "It might take a bit of time to get there, but we will," he told employees.